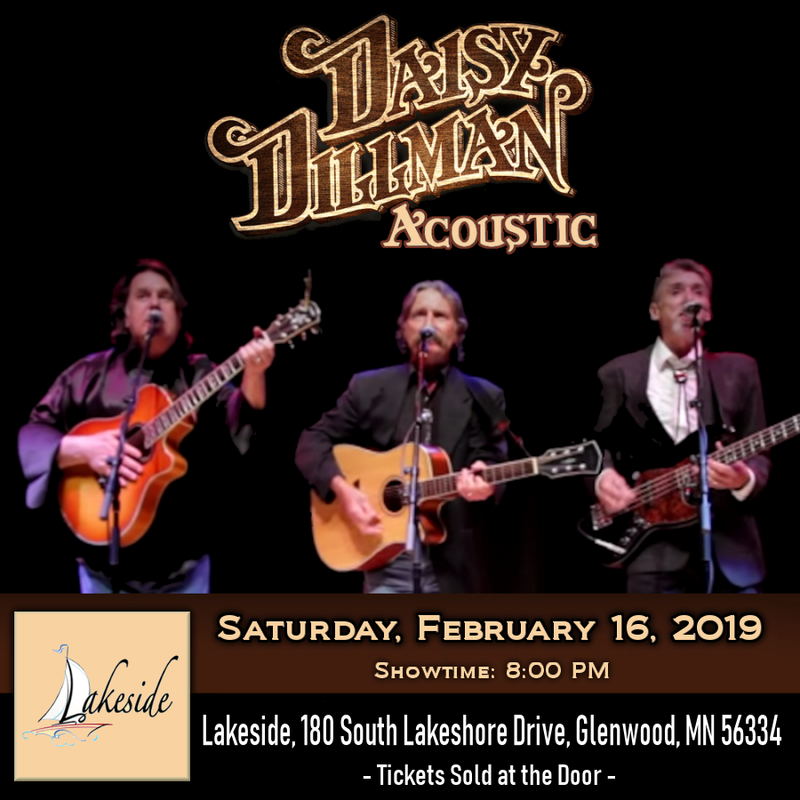 Pat, Feagan & Stymie… the three original lead vocalists and founding members of the Daisy Dillman Band, bring their well known 3-part high harmony to an unplugged and intimate setting. Marking their 40 plus years together, it’s humor, stories, originals and the best of “West Coast” Country Rock: Poco, Eagles, Buffalo Springfield and Crosby, Stills, Nash & Young. Daisy Dillman Acoustic brings a rare authenticity. They've been an original voice in Minnesota music and are Minnesota Music Award winners for Best Vocal Group, Best Violinist and Best Band.